Working as part of a team, I helped to design build and test an arm to be mounted on BYU's competition Mars rover. The arm had to be able to perform several tasks including lifting and pouring a 2.5 kg gas can, manipulating tools, valves and switches and collecting a soil sample. 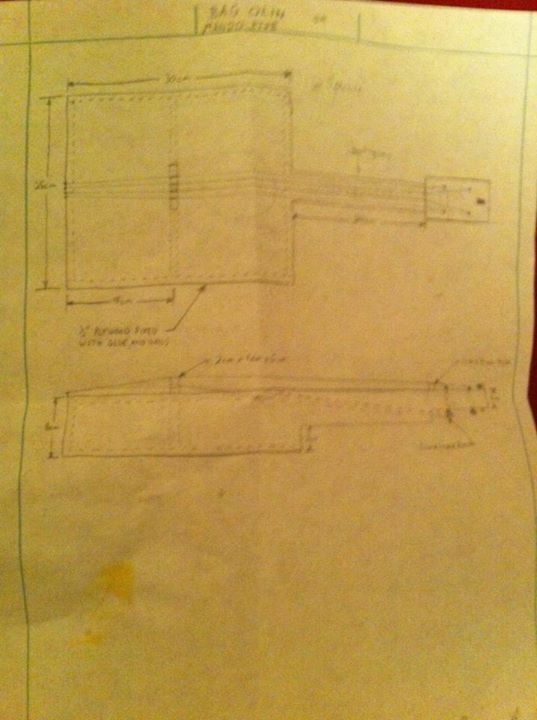 Below are some pictures that show the evolution of the arm design. My wife and I designed and built this gliding rocking chair with no screws or nails. Dowels and wood glue were used for most of the joints and it rocks silently and smoothly. The robot which I control in these pictures calculates my hands' position and orientation and then sends that information to the second robot. The second robot calculates what joint angles it needs to have to achieve those same positions and orientations and then it commands them. You may also notice that I have scaled the motion of the second robot so that when my arm is fully outstretched, so is his. I successfully programmed 2 Baxter robots so one would mimic the other's joint angles directly. This kayak is 8' long, but can be collapsed into a package that is 4' long (plus the wooden frames). It is a PVC and wooden frame with a simple tarp wrapped around and fastened with a string. It performed well on its maiden voyage in a swimming pool, but was a little small for someone my size. 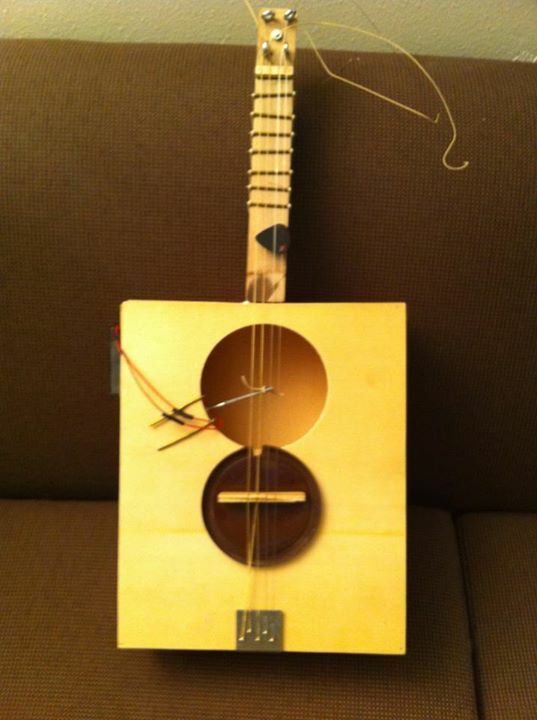 This hybrid instrument incorporates a drone string that passes through a tunnel in the neck (as seen in drawing) and is continuously strummed by an electric motor with a rubber band "pick." 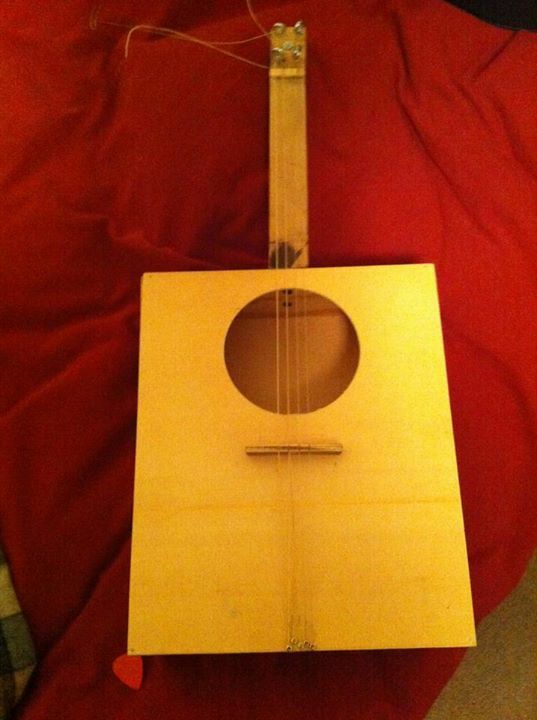 I fabricated the entire instrument body and neck from scratch. The frets are nails secured with rubber bands. 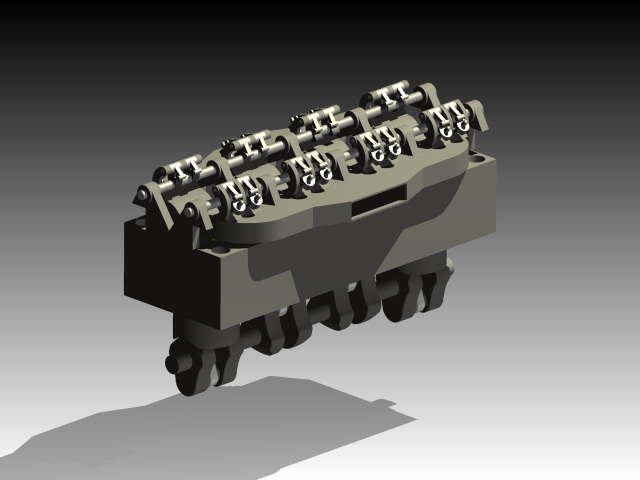 For 3 months in the winter of 2012 I lived with my parents in San Salvador and during down times between trips I modeled each part of this 4-cylinder engine and assembled it in Autodesk Inventor. The only reason I stopped here is because my computer stopped supporting the 3-D motion simulation with all of the valves and rocker pins.